Caving provides thrills to suit nearly any age and fitness level. 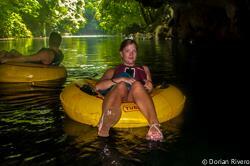 After a brief 30-minute hike to the entrance of the cave, inner tubes are used to float along the Caves Branch River. See your light flicker upon strange shapes and the last darkness beyond. Hear the echo of your voice bounce off the far walls. Listen to the water dripping from the ceiling, creating spectacular formations in the stunning chambers. Moreover, while you might be expecting dark and claustrophobic passageways, you are likely to find a large chamber room and cathedral-sized rooms. 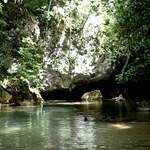 Journey into Belize’s spectacular underground realm and take a trip back to time! 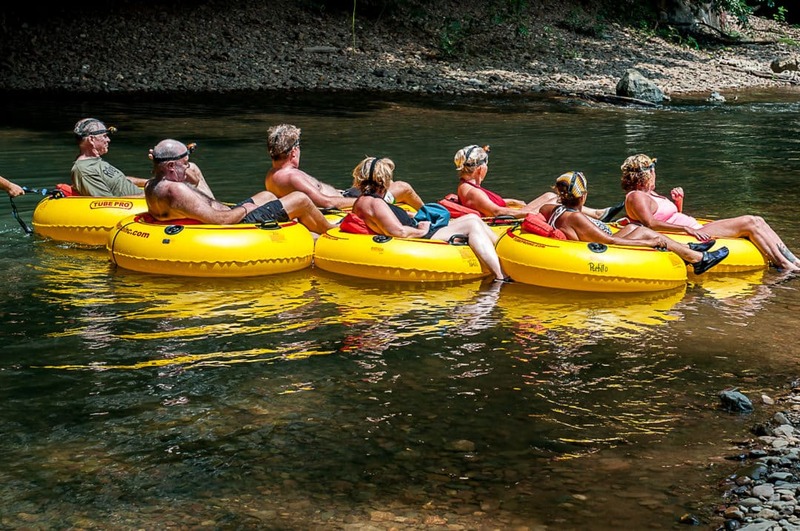 This fantastic attractive and unique tour is a fast-growing sector of the Belize Tourism Industry and pivots around one important factor SAFETY. 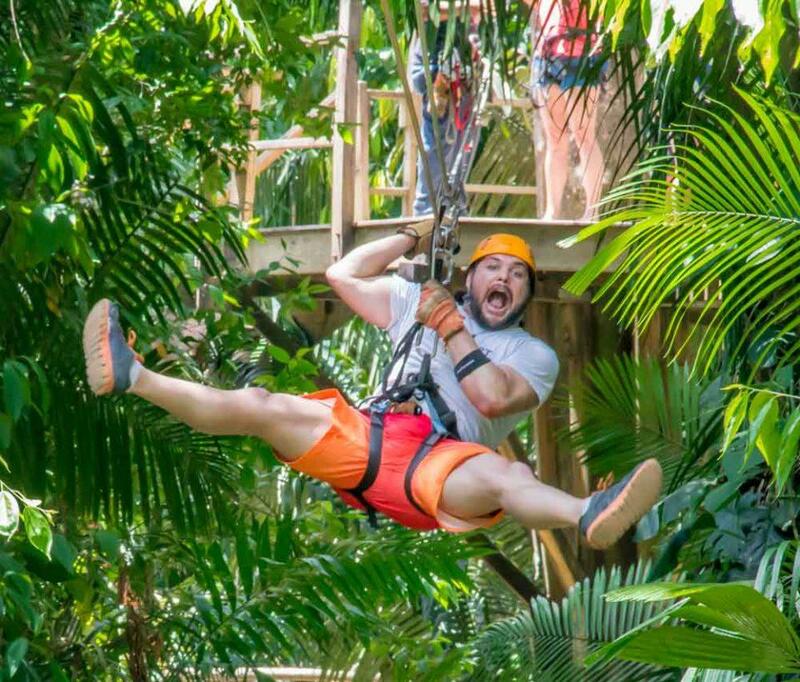 Set within Belize’s lush rainforest, this fantastic tour starts with a safety session from our professional zip line crew. Following your safety course, well-trained guides will help you with your harness, hand and body gears, and helmet. 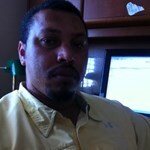 Double cables (each capable of withstanding 2,000 lbs of weight) used for the ultimate in safety. A brief 5-minute walk takes you to the first of 8 strategically placed platforms and the start of your Excursion. The platforms are as high as 85 ft and as far apart as 1200ft. All landing platforms are equipped with handrails. Guides meet you at each landing to ensure your personal safety. 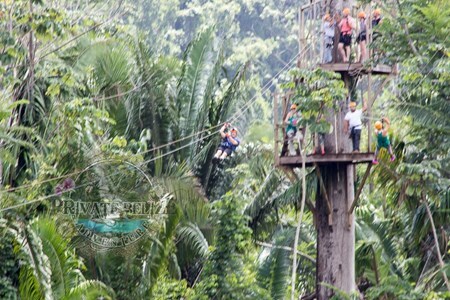 At the end of the Zip Line Tour, you will repel from the last platform back down to earth. 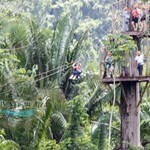 It Is a real heart-pounding adventure that is sure to please the thrill seeker in you!